Love cinnamon rolls, but don't have the time to make them? 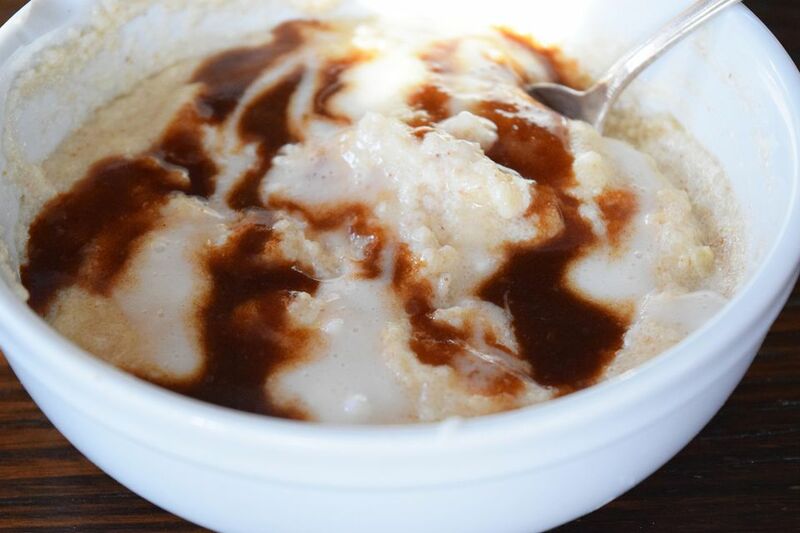 Cinnamon roll cream of wheat to the rescue! It tastes so similar to cinnamon rolls but can be whipped up in under five minutes. It's also really easy to make in larger batches to feed a crowd or to have on hand for a microwavable breakfast. It turns out cream of wheat is basically made from semolina flour, which is a coarser flour used to make pasta! It is pretty much the wheat equivalent of grits, although it is finer. It is a great alternative to grits for those who have corn allergies. It's also a great alternative to the typical oatmeal. Bring the two cups of milk to a simmer in a medium saucepan. Add the salt, sugar, and vanilla extract. Heat until the sugar dissolves, stirring frequently. Gradually add in the cream of wheat, stirring until it is completely incorporated. Use a whisk to smooth out any lumps that may occur. Depending on the type of cream of wheat you are using there will be different cook times. Cook on low for the amount of time directed on the box. While the cream of wheat is cooking, prepare the two toppings. Melt the butter in a small saucepan and stir in the brown sugar and cinnamon. Stir until the sugar is mostly dissolved. Set aside. Whisk together the milk, powdered sugar, and vanilla extract in a small bowl. If it is too thick, add a tiny bit of milk. If is too thin, add a bit more powdered sugar. Whisk until there are no more lumps. Remove the Cream of Wheat from heat and divide evenly between two bowls. Drizzle the two different toppings over the top of each bowl. Eat immediately.